The FlexMod Low Voltage Disconnect unit preserves battery charge and protects battery banks by automatically disconnecting loads when battery voltage drops to a critical level. Automatically disconnects specified loads when unit senses that vehicle battery voltage is low; automatically reconnects when voltage is restored. Protects vehicles with one battery (or bank of batteries). Senses battery voltage and disconnects non-essential loads if level falls below programmed voltage. Automatically reconnects loads when battery is charging. Eliminates downtime and vehicle breakdown costs due to dead batteries. High reliability unit is rated for more than 1,000,000 on/off cycles. 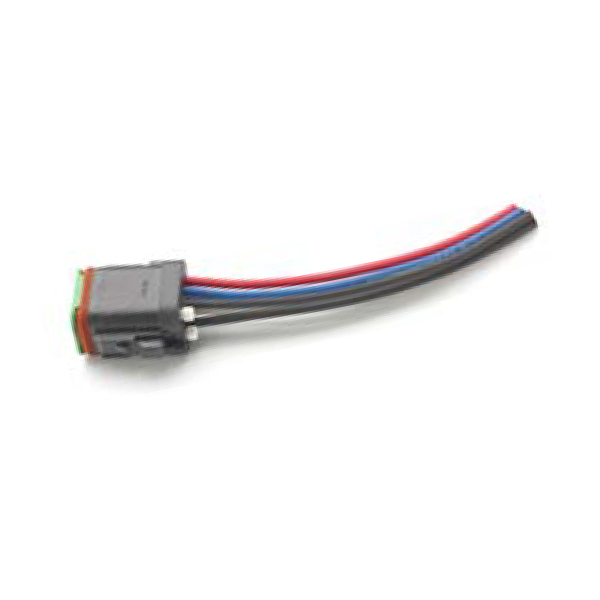 Overvoltage and overcurrent sensing protects the FlexMod and direct loads. Single auto-ranging unit (12V or 24V) means less stock and fewer SKUs. Harness sold separately - Part number 12805.